After years of teaching French and Spanish in a public high school north of Boston, I found myself as the head of a language department of 15 teachers of six languages. Although I was able to learn much of what I needed on the job, there were some areas for which I felt unprepared. The LPA specialization at MIIS was a unique program that was specific to administration within a language context that could give me the credentials and foundation I was lacking. As I already held a Master’s Degree in Spanish and a teaching certificate from the State of Massachusetts, I was in a unique position as the majority of LPA specialization candidates are enrolled in a Master’s program at MIIS. This required some creative solutions to complete the program. Fortunately, two of the required courses are offered online, Intro to LPA and Language Teacher Education, which I was able to complete from Boston while teaching. Dr. Kathi Bailey also orchestrated the opportunity to take Language Teacher Supervision via SKYPE during the fall semester. Although we had a few technological glitches, taking the course via SKYPE was advantageous because I could apply what I was learning in class directly to my job. By completing three courses prior to arriving in Monterey, I was able to take a one semester leave of absence from my job to come to MIIS to complete the specialization. With the LPA certificate in hand at the end of May, I can return to Boston and comfortably take on a more administrative role or perhaps other doors will open. The LPA certificate program prepares students to administer language programs or schools. It includes courses in teacher education and supervision, budgeting, accounting, and marketing. The LPA certificate is not offered by any other TESOL program in the US. This entry was posted in careers, Language Education, Uncategorized and tagged administration, certificate, Language Program Administration, Language Program Administration, MIIS, teaching on April 30, 2010 by GSTILE. Prof. Kathleen Bailey and current students, David Chiesa and Ryan Damerow presented on the way in which dialogue journals have the ability to facilitate the development of new knowledge and awarenesses on the part of both students and teachers. Amber Vanderwoude examined student and teacher perceptions of the identities of Japanese students studying English in California. Students’ written reflections, the teacher‘s journal, and classroom recordings were analyzed for patterns revealing students‘ identities. Differences were found in student and teacher perceptions of identities and in students‘ identities throughout the course. Jennifer Hickey presented on successful multilinguals, examining the views and experiences of high-level multilinguals to determine what tactics they utilized while learning their non-native languages. David Chiesa’s inspirational session showed how language teachers can do more than teach language.In fact, each of us has the ability in the choices we make both inside and outside of the classroom to change attitudes, beliefs, and lives. Erin Strickland studied her own attitudes and perceptions toward extensive reading (something she hated the thought of doing in her L2 and was yet assigning to her ESL students!). She kept a diary as she read in French for eight weeks. Heather Kokesch participated in a job panel discussion on Teaching English Internationally: Teachers’ Stories and Teaching Suggestions. Presenters shared their teaching stories, offered suggestions for teaching with limited resources, and advised participants on finding international teaching jobs with organized programs and as independent contractors. An MATESOL Alumni reception rounded out the conference on Friday night, with over 20 alumni in attendance. Thank you all for coming! This entry was posted in Uncategorized on April 28, 2010 by GSTILE. With the increasing number of interpreting programs in higher education worldwide, there is a growing body of research centering on interpreter training issues. Whether the topic is assessment, aptitude or teaching methods, much of the research on interpreter education involves students as providers of natural data or subjects of experiments. However, there seem to be few studies that focus on students perspectives on how they are trained. Student feedback is a valuable resource for teachers to use in reflecting on and continuously improving their practice. This paper explores the constructive use of student input to pursue effective teaching and curriculum design. It takes the form of a case study, focusing on second-year interpreting students who took an interpreting theory and research course from 2007 to 2009 at MIIS. In addition to questionnaires and course evaluations, this paper draws on student research proposals and action research reports in order to identify what the students may see as gaps in the teaching at MIIS. The place of theory and research courses in the curriculum is also discussed. Finally, possible solutions for the issues raised in the findings are suggested. This entry was posted in Found in Translation Series, Interpretation, Language Education, Translation and tagged Interpretation on April 25, 2010 by GSTILE. John Balcom‘s translation of Cao Naiqian’s “There’s Nothing I Can Do When I Think of You Late at Night” won the 2010 Northern California Book Award in the category of translated fiction. Cao Naiqian (b. 1949) works for the Public Security Bureau of Datong City. He began writing in 1986. Swedish Nobel academician Goeran Malmqvist wrote that Cao Naiqian is one of three Chinese authors who deserved the Nobel Prize. Professor Balcom’s award-winning translation has made this novel accessible to English readers around the world. This entry was posted in Interpretation, Language Studies, Translation and tagged faculty, Language Studies, T&I, work on April 21, 2010 by GSTILE. Since 2008 Professor Jon Ritzdorf has taught intensive, non-degree, workshops on Computer-Assisted Translation to rave reviews. “Making the complex simple and fun,” is Jon’s motto, and his energetic and hands-on teaching style keeps everyone engaged, and leaves no translation professional behind. CAT tools allow translators to access prior translations, thus saving time and helping them to work more efficiently. In fact, the Monterey Institute requires all of it’s translation and interpreting MA students to take basic CAT, as we feel the ability to use such software is fundamental for all translators. This entry was posted in Translation and tagged computer-assisted translation, Translation on April 20, 2010 by GSTILE. Five years of China International Publishing Group! Since fall 2006, the Monterey Institute has hosted advanced English and translation/interpretation courses for editors, translators and journalists from China’s largest English language publishing house: China International Publishing Group. “We present China to the world,” is the CIPG motto, which they do through books, periodicals, and websites in over 20 languages, representing more than half of national exports of books/periodicals. Through competitive exams open to the 3000 employees of CIPG, six scholars are selected and sent to the Monterey Institute for a program of advanced English discourse, cross-cultural communication, learning styles, editorial issues, and applied translation and interpreting skills. Monterey Institute MA students in our translation/interpretation program have benefited from the real-life experience and high proficiency level of the CIPG members, as well as developing professional connections. The community is involved with outside speakers such as Bradley Zeve, founder of the Monterey Weekly, reporters from the Monterey Herald, and visiting editors from the Zimbabwe press, further developing the free exchange of ideas, and cross-cultural awareness. We look forward to the next group in fall 2010! This entry was posted in Interpretation, Translation and tagged English on April 20, 2010 by GSTILE. Thirty-three students participated in Conference Terminology and Procedures, a three-day workshop (March 5-7th 2010) giving students both an insider’s view on how an international organization such as the United Nations navigates negotiations, discussions, debates and decisions, and providing basic materials on how to conduct and participate in meetings at a wide variety of organizations. Students primarily from the Spanish, Chinese and Russian TI programs, as well as a Japanese TI and an IPS representative and two members of the public were most enthusiastic participants, and seemed to be having a very good time while absorbing large quantities of information. Prior to the course they had received e-files of background and vocabulary material which reinforced the terminology and procedure lectures, and each received a thick course reader which will be of use to them in the future. The public participants in the course (a conference interpreting student from PUC, Brazil and an Arabic/English translation professional from the Bay Area) made valuable contributions. The lecture sections of the course dealt with basic parliamentary procedure, the terminology for proceeding with agenda items, the structure of resolutions and other documents, and basic negotiating techniques. Following the lecture section of the course the students were divided into three groups, with the task of taking three completely opposed positions on an issue of great concern to the students. Despite the time pressures, the students seem to have successfully grasped the principles of drafting a resolution and of negotiating to consensus. Dean Renee Jourdenais was pleased to have Dr. Lynn Visson join us to teach this workshop for the fourth year in a row, this year launching the Dean’s Lecture Series program. Dr. Visson’s vibrant personality, humorous stories from inside the UN where she served as a staff interpreter in the English booth for French and Russian for more than twenty years, and her thorough knowledge of complex procedures make the class enjoyable and informative each year. Dr. Visson received her Ph.D. from Harvard University, taught Russian language and literature at Columbia University, and is currently a member of the editorial board of Mosty, a Moscow-based journal on translation and interpretation, and a consulting editor of Hippocrene Books, NY. Of Russian background, she is the author of many works on interpretation, translation, Russian-American marriages and various aspects of Russian culture, which have been published in both the US and Russia. Thank you to Dr. Visson and students for making this workshop a success! This entry was posted in GSTILE lecture series, Interpretation, News, Translation, Translation and Localization Management and tagged GSTILE, workshops on April 15, 2010 by GSTILE. John Hedgcock’s recent professional activities include the completion of Teaching Readers of English: Students, Texts, and Contexts, co-authored with Dana Ferris and published by Routledge in March 2009. John and his co-author were honored to receive the 2009 David E. Eskey Award for Curricular Innovation as a result of this publication. John pursued his interest in L2 literacy education by presenting on that topic at the 2009 TESOL Convention in Denver and by co-teaching a course on ESL/EFL reading instruction at American University in July. In addition, he co-presented on his ongoing heritage language research at the American Association for Applied Linguistics meeting in Denver. With co-author Natalie Lefkowitz, he completed a chapter on academic literacy development among heritage students, to be published in the forthcoming volume, Learning to Write and Writing to Learn in an Additional Language, edited by Rosa Manchón. John’s chapter on theory and practice in L2 writing instruction also recently appeared in Practicing Theory in Second Language Writing, edited by Paul Matsuda and Tony Silva. Having completed his final year as member of the TOEFL Committee of Examiners, John continues to serve on the Editorial Advisory Board of TESOL Quarterly. This entry was posted in Language Education, Uncategorized and tagged efl, esl, GSTILE, reading, TESOL on April 11, 2010 by GSTILE. 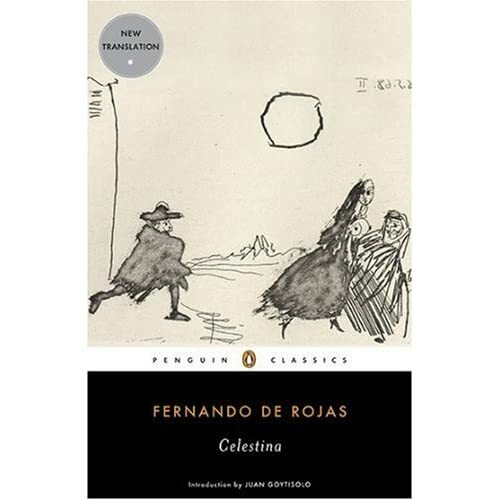 On April 1, 2010, Peter Bush, an award-winning literary translator living in Barcelona, discussed his new translation of Fernando de Rojas’s Renaissance masterpiece, Celestina. This translation re-asserts Celestina‘s power as a pioneering work of fiction, written over five hundred years ago in a language and mood that is thoroughly contemporary. De Rojas’s original mix of street wit, obscenity and cultured rhetoric mark Celestina as one of the first prose masterpieces of European literature and a work of art to rival Cervantes, Velázquez and Goya. In his talk, Bush examined the tradition of translating this classic and discussed the strategy informing his decision to dispense with the dramatic structure imposed by de Rojas’s original publishers at the end of the fifteenth century. He compared different versions of a specific extract in English and French to facilitate a critical exchange on the theory and practice of translation. Peter Bush studied French and Spanish at Cambridge and researched Spanish fiction and history in Oxford. He was Professor of Literary Translation at Middesex University and at the University of East Anglia where he also directed the British Centre for Literary Translation. Recent projects include Juan Goytisolo’s Juan the Landless, Valle-Inclán’s Tirano Banderas and Najat El Hachmi’s The Last Patriarch. He edited The Translator as Writer (with Susan Basnett), a collection of essays by leading translators on the art of literary translation. Fernando de Rojas was born in La Puebla de Montalbán in the early 1470s into a family whose Jewish forebears had been forced to convert to Christianity. This entry was posted in Translation and tagged GSTILE, re-translation, T&I, Translation on April 10, 2010 by GSTILE.